The Ripple Effects of Trauma: Layers of Pain by Dorothy Hederscheit, OSF, MSW, ACSW, RSW and Rev. Stephan Kappler, Psy.D. For more information please click Annual Benefit Dinner – Toronto, 9 May 2019 or contact Joe Forhan, Chief Administrative Officer, The Southdown Institute T: 905 727 4214, email: events@southdown.on.ca, or visit www.southdown.on.ca. The Southdown Institute is pleased to announce the appointment of Rev. Stephan Kappler, M.Div., Psy.D., as President of The Southdown Institute, effective February 1, 2019. As part of a planned leadership transition, Fr. Kappler will replace Sr. Dorothy Heiderscheit, OSF, whose five-year tenure as Chief Executive Officer comes to completion at the end of January. Fr. Kappler brings to Southdown a wealth of experience in the field of mental health and service within the Church, ministering in various pastoral settings and with diverse populations. He received his Doctorate in Clinical Psychology (Psy.D.) from John F. Kennedy University, Pleasant Hill CA, and his Master of Divinity (M.Div.) from the Franciscan School of Theology, Berkeley CA. In February 2014, he founded KAIROS Psychology Group in Oakland CA and has served as its Director since that time. 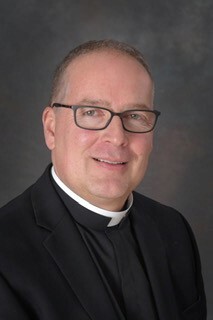 He has served as Parochial Vicar and Pastor in the Diocese of Oakland since May 1994, with his most recent ministry as Pastor of St. Jarlath Catholic Church in Oakland. He has facilitated workshops internationally for Religious and Clergy in the area of mental health. 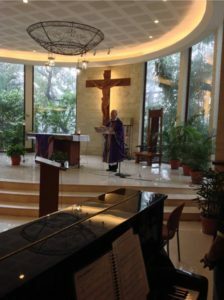 He has served on the National Advisory Council (NAC) of the Conference of Major Superiors of Men (CMSM), and has served as a consultant for many dioceses. Fr. Kappler speaks fluent English, Spanish, and German. Fr. Kappler is well known to the Southdown Community, having completed his post-doctoral fellowship with us. 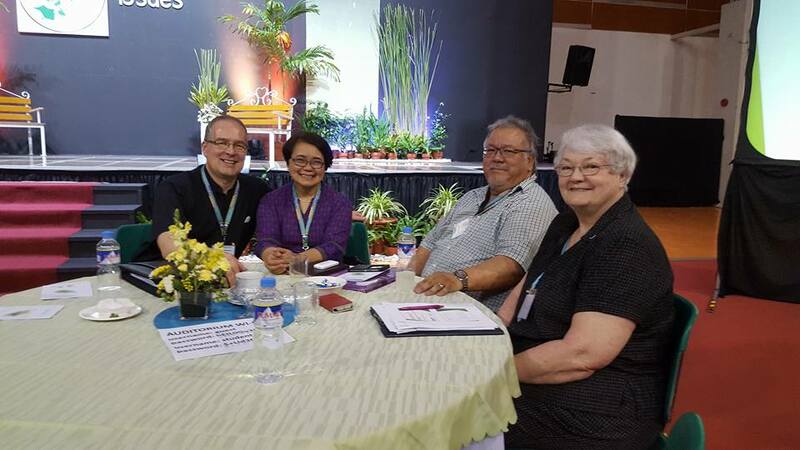 He possesses a deep passion for accompanying fellow Religious and Clergy on their paths of ministry, fulfilling Southdown’s vision of Healthy Ministers for a Healthy Church. We welcome his expertise to continue strengthening the services Southdown provides to the international Church. CMSM is inviting religious leaders and emerging leaders from their communities to participate in a retreat-style conference in Tucson (AZ), January 27-31, 2019. The conference will include input and reflection time on living a joyful, healthy and resilient life as a member of a religious community. Registration is open to members of CMSM and CRC, and emerging leaders. Information and registration are available here. Addiction and Recovery - Watch newly released videos in our Resource Centre. Visit our Resource Centre for newly released videos with Sr. Elaine Dombi, SSJ, Addictions Counsellor, Southdown. Sr. Elaine speaks about addiction and recovery in three brief videos. Follow this link to see the videos. Register Now for CPI Conference in Toronto! An intervention is an action performed to empower and motivate others to make changes in their lives. These changes may include activities intended to modify behaviours and emotional states. A wide range of intervention strategies exist for various behavioural, emotional and relational issues. The conference will explore intervention warning signs and offer practical skills and tools. • How and when to use an intervention? • What problems can be addressed? • How to manage the fallout? This conference is designed for Leadership Teams, Formation and Vocation Directors, Vicars, Rectors, Pastors, Canons, Personnel Directors and Supervisors. The format will be an adult learning model. The “Witness” interview with Southdown’s CEO, Sr. Dorothy Heiderscheit OSF, is scheduled to air on Salt and Light Television on Sunday, June 10th at 7 pm and at midnight. It then will repeat the following week on Monday at 12:30 pm, Thursday at 8:00 pm and midnight, and Friday at 12:30 pm. 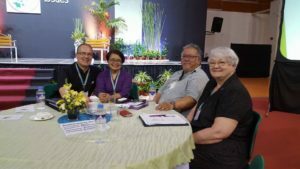 Sr. Dorothy Heiderscheit is a member of the Franciscan Sisters, Dubuque, Iowa and is the current Chief Executive Officer for The Southdown Institute. Sr. Dorothy holds her Masters in Social Work from Tulane University, New Orleans, LA and a BSN from Marycrest College in Davenport, IA. She is a member of the Academy of Certified Social Workers (ACSW) in the USA, licensed as an Independent Social Worker (LISW) in Iowa, and as a Registered Social Worker (RSW) in Ontario, Canada. Previous ministry experiences include the Office of Family Ministry with Catholic Charities of Jackson, MS, Board membership and chairman for the State Board of Mental Health of Mississippi, Clinical Practice for Religious and Clergy in the Tri-State area of Dubuque, IA, and eight years as Congregational President with the Dubuque Franciscans. Prior to her current position, Sr. Dorothy was the Continuing Care Coordinator for Southdown. Salt and Light series – “Witness” – presents men and women who are making a difference in both big and small ways. Father Thomas Rosica hosts a series of in-depth interviews with distinguished, high-level religious and civic leaders – people who are contributing significantly to the vibrancy of their Catholic communities. “Witness” provides viewers with theological reflection, as well as personal insight into those who shape society. Moving Forward with Wisdom: Skills and Tools for Intervention. Early Bird registration is open. Read the Fall/Winter issue of the Covenant newsletter in pdf or on our website. I entered Southdown in a very broken state…..and 6 months later I departed grateful for the healing and hope that had occurred during that time. With the continuing care program and making use of what I learned and experienced, I began a new way of living that I celebrate to this day. This testimony is a tribute to the importance of a place dedicated to preventative and restorative care for Clergy and Vowed Religious. People in our communities face challenges and stressors that become an integral part of the ministry Clergy and Religious women and men provide. These committed men and women are increasingly being asked to provide more services with fewer supports and less time. In addition, their resources, both Diocesan and Congregational, are declining. When ministers need respite and a place to heal, Southdown provides a secure and supportive environment for them. Healers need healing themselves if they are to continue their calling in our time of need. When our ministers are healthy, they are filled with a deep inner joy and compassion that spills over to each of us and benefits the universal Church. These strong and healthy ministers give us hope and encouragement as we face our own personal trials. Since I have been the CEO of Southdown, the requests for financial assistance have increased each year. I see no lessening of this need for finances. It is important to us that anyone who is desiring treatment and support can access services at Southdown. Thank you for your support and continued prayers for our ministry. Be assured of our prayers for you and your loved ones. Please print and mail this donation form or donate online. Global Sisters Report, which is a non-profit news organization affiliated with the National Catholic Register recently featured Southdown in an article about women religious and addiction. The article sheds light on this important issue. Click here to read the article. We are pleased to share the highlights of the last fiscal year in our Annual Report. Please take a moment to look back to celebrate everything that we accomplished in 2016/17. The Resource Centre is in its’ initial stage and our goal is to grow the content based on your inquiries. We will post answers to questions from our readers and website visitors through the Q&A Forum either in a written or video format. Whether you have a general question about mental health or are seeking information on a specific problem within your community or diocese, we hope to be able to answer. All inquiries are moderated and anonymous. What we often encounter in our practice is that people are not sure what to do when they are presented with a problem and what are the next steps. They may notice a problem but are hesitant to address it due to fear of being judged or simply due to lack of direction. We have over 50 years of experience in addressing questions and concerns around mental health needs and addictions, and we would like to share this knowledge with you. Please do not hesitate to use this Resource Centre and ask your questions! Feel free to email advancement @ southdown.on.ca or call Katherine Rogalska, Communications Manager at 905 727 4214 ext. 104 if you have any questions on how to use the Q&A Forum or would like to take a tour. On behalf of our Board and all who minister at Southdown, we thank all those who attended and supported our Benefit Dinner on May 11, 2017 in Toronto. Your faithful generosity assists in our mission of bringing healthy ministers to a healthy Church. Please accept our gratitude. 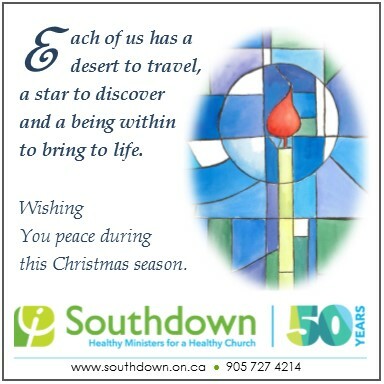 This has been a year of celebration honouring the founding of Southdown in June of 1965 with the facility opening on December 15, 1966. On May 11th we honoured J.J. Barnicke whose vision and creativity contributed to the success of our organization. J.J. Barnicke’s involvement in establishing and assisting Southdown through its earliest years is a tribute to the generosity and philanthropic spirit of lay people. Extending our gratitude to each of you and our promise of prayer as we continue to service the Church through our mission of healing. 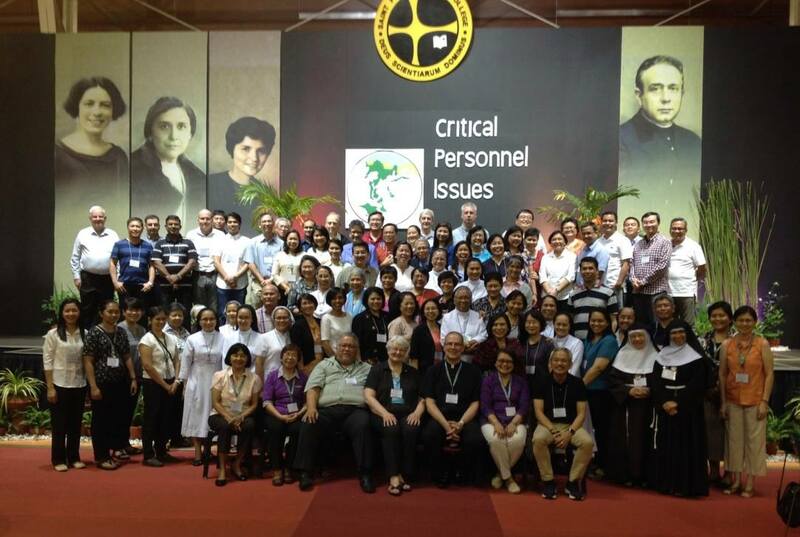 Thank you for a great conference in the Philippines! Please contact us directly if you require a subsidy. The fee includes room, board, and conference. Please contact us directly if you require subsidy. Leadership calls forth the use of many skills and strengths. There are experiences that can surprise us and challenge us at the same time. Taking time to withdraw, step back and review how these experiences are impacting one’s life and spirit is important. Input will include integrating leadership experiences and finding God in the daily routine. This will be a retreat format conference with daily input, time for quiet, for reflection, and for process. The schedule will include group prayer and group sharing. The facilitators will be available for private consultation during the day. The Winter issue of Covenant is available on our website and in pdf. An interview with Sr. Dorothy Heiderscheit OSF reveals how At Southdown, religious learn to take care of themselves before taking care of others (read below, or in October 10 issue of The Catholic Register). We are pleased to announce that Southdown video will be aired on Salt and Light TV network with a special introduction by Rev. Thomas Rosica, CSB. (the video is also available on Southdown’s website and You Tube Channel). 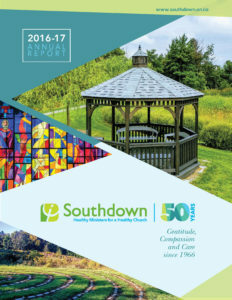 Southdown’s new Annual Report for the fiscal year 2015-16 is now available on our website: Annual Report 2015-16. If you or someone you know is struggling with depression, anxiety, addictions, burnout, or other psychological stress, give us a call. Consultations are free and strictly confidential. Whether you are in a leadership position dealing with a difficult situation or find yourself personally experiencing difficulties our expert clinical staff can listen and offer clarity and or direction. Southdown has provided expert mental-health treatment to religious and clergy since 1966 with Gratitude, Compassion and Care. Thank you to all our donors and guests who attended our 2016 Benefit Dinner. Your assistance in raising support and awareness of our mission to provide integrated holistic treatment for Religious and Clergy is greatly appreciated. Save the date for the 2017 Benefit Dinner ! Please visit our event web page for more information. The new issue of our newsletter Covenant is now available in pdf or you can view it on our website. The new issue of our newsletter Covenant is now available in pdf Fall 2015 or you can view it on our website. Southdown and KAIROS Psychology Group had a privilege to host Healthy Leaders for a Healthy Church conference in Oakland, CA for clergy and religious leaders from the West Coast area. This one-day conference was specifically designed to provide a forum to explore challenging issues that affect the work of clergy and religious personnel directors, vocations directors, and directors of formation programs. Over 70 participants attended workshops which explored topics in personality disorders, diversity, aging and healthy sexuality. The conference provided education and insight, and a space to share/process each other’s experience. The discussion of practical strategies for fostering health and well-being was very well received by all participants. Southdown and KAIROS would like to thank all participants for attending the conference and for their insightful comments. Thank you for warm welcome and for making this conference a rewarding experience. The Southdown Institute and an interview with Dorothy Heiderscheit, OSF was featured in the September 14th issue of The Catholic Register. Please read the full article on-line on The Catholic Register web site. On September 6, 2014, the Southdown community celebrated the official Opening of its’ new home in Holland Landing. 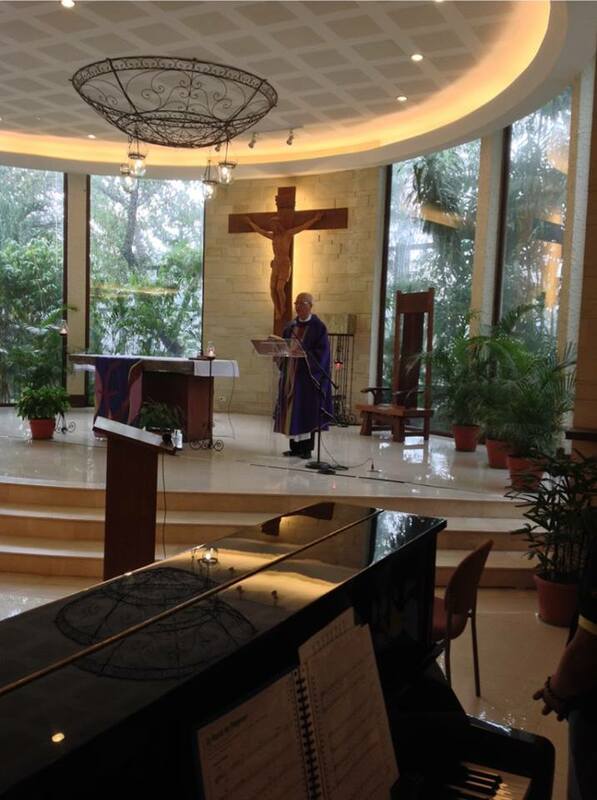 His Eminence, Thomas Cardinal Collins, Archbishop of Toronto blessed Southdown Chapel. We welcomed local politicians including Mayor of East Gwillimbury, Virginia Hackson and Councillor, Tara Roy-DiClemente. Lois Brown MP Newmarket Aurora, Julia Munro MPP York-Simcoe and Peter Van Loan MPP York-Simcoe were also present during the official Ribbon Cutting Ceremony. We were also blessed with the presence of our committed Board members and former staff. Several members of religious communities and their Leadership enjoyed tours of the new facility led by Southdown’s staff. We received numerous congratulatory notes and best wishes. We are very thankful for all the kind words and continuous support. Since 1966, Southdown’s goal has been to provide high quality residential treatment for men and women committed to ministry and religious life in an environment conducive to healing. With this goal in mind, our new facility was designed to include the functional and spiritual design elements to accommodate the changing needs of today’s residents. Please visit our photo gallery to view pictures from the event and to see some new photos of our beautiful new home. The Southdown Institute’s new building, designed by Montgomery Sisam Architects received High Commendation from the International Academy for Health and Design in the category of Mental Health Design. The awards were presented during the 10th Design & Health World Congress & Exhibition at the Royal York Hotel in Toronto, on July 12, 2014. Close to 100 submissions in various categories were reviewed by an international panel of judges. According to their web site, The Design & Health International Academy Awards is the world’s leading advocacy programme, recognising professional excellence in the research and practice of designing healthy environments. The annual awards programme has a significant influence on the global design of salutogenic environments that support health, wellbeing and quality of life, reflecting important aspects of the exceptional work undertaken by researchers and practitioners at the forefront of the field of design and health. Southdown’s building was designed with intention to promote healing and spiritual reflection. The landscape and pastoral surroundings are central to the design concept. Since 1966, Southdown’s goal has been to provide high quality residential treatment for men and women committed to ministry and religious life in an environment conducive to healing. With this goal in mind, our new facility was designed to include the functional and spiritual design elements to accommodate the changing needs of today’s residents. Our new home is located just 10 kilometers north of our original site in Aurora. The Southdown Institute’s Board of Directors is pleased to announce the selection of Dorothy Heiderscheit, OSF for the role of the CEO. The Board Chair, Kevin Yousie expressed complete confidence in Sr. Dorothy’s abilities and belief that under her leadership Southdown will continue to play an important role in serving the Church. Sr. Dorothy’s term as CEO will commence effective January 1st, 2014. The Board also thanked Miriam Ukeritis, CSJ for her outstanding leadership during a very challenging period at the Southdown Institute. Her strength and skill as a leader has put the organization in a much stronger position, and well-positioned Southdown for the future. She leaves Southdown to join four other members of her congregation as they take up their responsibilities on the newly elected Congregational Leadership Team of the Sisters of St. Joseph of Carondelet. Dorothy Heiderscheit, OSF is a member of the Sisters of St. Francis of Dubuque, Iowa. Dorothy holds her Masters in Social Work from Tulane University, New Orleans, LA and a BSN from Marycrest College in Davenport, IA. She is a member of the Academy of Certified Social Workers (ACSW) in the USA, licensed as an Independent Social Worker (LISW) in Iowa, and as a Registered Social Worker (RSW) in Ontario, Canada. 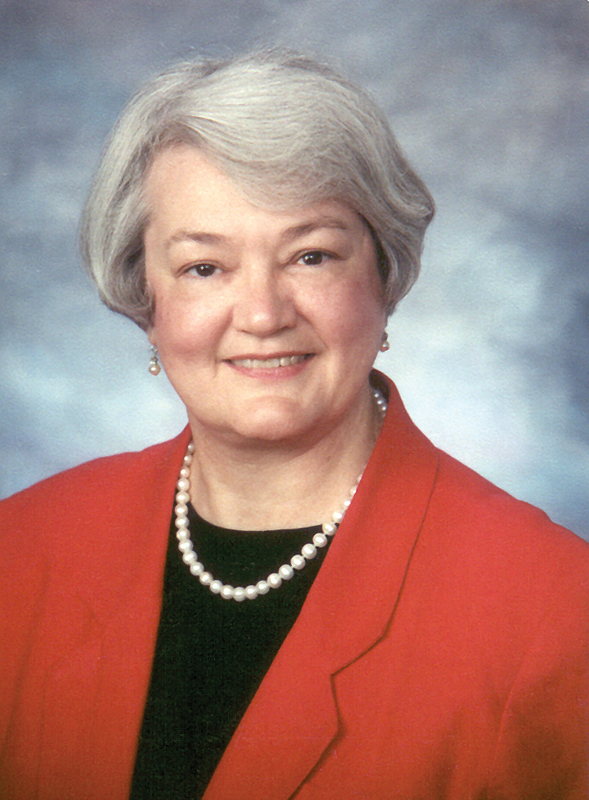 Her previous ministry experiences include the Office of Family Ministry with Catholic Charities of Jackson, MS, Board membership and Chairperson for the State Board of Mental Health of Mississippi, Clinical Practice for Religious and Clergy in the Tri-State area of Dubuque, IA, and eight years of Congregational leadership with the Dubuque Franciscans. In her most recent position, Sr. Dorothy was the Continuing Care Coordinator for Southdown Institute. Southdown awarded Accreditation with Exemplary Status! On May 22, 2013, Southdown received Accreditation with Commendation for its commitment to providing safe and high quality health services. In October, after reviewing our updated submission, the Accreditation Canada awarded Southdown an Accreditation with Exemplary Status. As part of the accreditation process, Southdown has undergone a rigorous evaluation process. Following a comprehensive self-assessment, external peer surveyors conducted an on-site review during which they assessed Southdown’s leadership, governance, clinical programs and services against Accreditation Canada requirements for quality and safety. These requirements include national standards of excellence; required safety practices to reduce potential harm; and questionnaires to assess the work environment, patient safety culture, governance functioning and client experience. In result, Southdown has surpassed the fundamental requirements of the Qmentum accreditation program. There is a well-established and shared values base, inherent in all that Southdown espouses to be in terms of its mission and vision. Furthermore, those values are expressed and visible in day-to-day interactions between staff and residents, which is a testimony to the leadership of the organization and the staff they recruit and retain. Since 1966, Southdown’s goal was to provide a much needed resource for church ministers and religious men and women in the best environment conducive to healing. With this goal in mind we are building a new facility in East Gwillimbury (just 10 km North of our current location in Aurora), which includes the functional and spiritual design elements to accommodate the changing needs of our clients. Through economic analysis and functional planning, we have learned that repairing or adding to our existing structure would be unmanageable and a poor exercise of stewardship. Building a new structure would also allow us to continue our services uninterrupted. Please visit our Photo Gallery to see the construction progress of our new building and architect renderings. Over these many years in Aurora, our physical surroundings have gone through significant change and urban growth, leading us to address issues of privacy and the need for an environment conducive to healing. Through economic analysis and functional planning, we have learned that rebuilding, repairing and /or adding to our existing structure would be unmanageable and a poor exercise of stewardship. We therefore engaged the assistance of professionals and collaborated with neighboring landowners. Simultaneously, we sought a suitable site at which we might continue our mission.